The water is the place to be! Nothing beats skiing calm water against the back drop of the Wasatch Mountains at Utah Lake, Deer Creek , Strawberry or Jordanelle Reservoir Conditions are also perfect for wakeboard enthusiasts. Stay in Park City and hit all the surrounding lakes Waterskiing, Wakeboarding, Wake Surfing, Tubing,or knee boarding, on one of our VIP rentals or full service Watersports charters. TK Watersports will tow the boat launch and retrieve, do all the clean up, provide all the Watersports equipment you just come and have fun. Charter your rental boat and let one of our professional drivers handle all the work. Avoid the stress and liability of caring for this expensive boat and spend more time enjoying yourself. Our drivers are all very knowledgeable and easy to work with. Certified in Wilderness First Responder and CPR first aid. TK Watersports also offers wakeboarding boat rentals, water ski boat rentals, Wave runners, water trampolines and other water sports equipment. TK Watersports offer free launch and retrieve at Utah Lake. In the summer, Park City remains a very popular destination. There are a number of Lakes to visit just minutes away. Jordanelle, Rockport reservoir, Deer Creek, Strawberry Reservoir, Utah Lake and East Canyon. The mountains are even more beautiful once the snow melts, and visitors can ride the tram up and descend on foot, mountain bike or alpine slide. Year round cultural events, such as Artstravaganza in August and the renowned Sundance Film Festival in February. 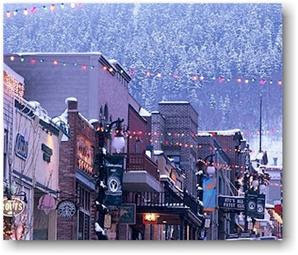 With accommodations for more than 12,000 visitors, Park City was one of the major centerpieces of the 2002 Winter Olympics. Nearly 100 restaurants and tons of shops in this mountain town. In the summer, Park City remains a very popular destination. The mountains are even more beautiful once the snow melts, and visitors can ride the tram up and descend on foot, mountain bike or alpine slide. Year round cultural events, such as Artstravaganza in August and the renowned Sundance Film Festival in February. Jordanelle Reservoir is only Minutes away from Park city and has three great camp grounds featuring 82 camp sites with modern rest rooms, 103 RV campsites overlooking the reservoir. The park has pavilians for large groups, making this a great place for your family renion or get together. The Marina has a pro-shop lakeside grill and small supply store. Deer Creek Reservoir is located just minutes up Provo Canyon and/or just southwest of Heber UT. The reservoir lies in the southwest corner of beautiful Heber Valley provides some of Utah's finest year-round fishing Facilities include a concrete boat launching ramp, 35-unit campground with modern rest rooms and showers, two group-use areas, sewage disposal and fish cleaning stations For those who love Skiing and wakeboarding early morning or early evening are your best bets for good water. Deer Creek is infamous for its afternoon winds; you could almost set a clock to them. They usually start around one and last through about four. This is a great time to break out those tubes, water wienies, and jet ski’s.